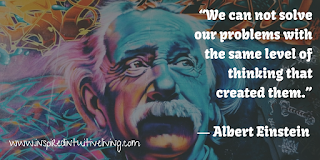 0	Necessary Changes to Live More Authentically and Get the Life You Deserve! To live an authentic life and be true to who you really are, you have to take a hard look at your life and decide what needs to change to get the place you are wanting to be. This often requires a lifestyle change in some form or fashion. It could be a minor change or a complete overhaul and transformation. Change is inevitable and necessary in your evolution. We are energy, in constant movement, growing, expanding, and ever-changing. To live more authentically we must actually live the lifestyle we want to become. That sounds complicated when you have a lot of problems, right? Well if you are only thinking of it from the current circumstances that you’re in and not doing anything toward forward movement toward that end, you are staying the same or static in your circumstance and yes, you will have a very difficult time achieving the lifestyle you actually want. Simply put, because you are not taking action, you are saying to the universe that you want to keep it the same. And to live more authentically it cannot stay the same. This is incongruent with your true life path and the problems that are happening are an indication that changes are necessary. Some may argue that they don’t want to keep the circumstances in their life the same but because of some reason or another(usually money) they can’t do XYZ. The best thing for you to do if you feel that you can’t is examine this belief and ask yourself “Why Not?” List as many reasons as you can think of that have been holding you back and you perceive to be insurmountable challenges. Now, make another list and brainstorm as many possibilities that you COULD do toward that lifestyle that you want. This could be some small task that you’ve been putting off, listing all the ways to make extra money, or identifying something (ANYTHING) you could start to do related to your goal that you would eventually have to do. The key here is DO SOMETHING. Nothing ever happens without movement. Likely you’ve been doing many things that have been moving you in the wrong direction. Your level of thinking about the problems has kept you stuck in a state of fear and powerlessness. If we examine the situation closely there is usually SOMETHING you could do. Even if it doesn’t produce drastic transformative results right away, it’s still a step in the right direction. You have to identify this belief system and think with a different mindset to get different results. For example, if it is a money issue that is holding you back…First answer these questions and then see if your can’t turns into a CAN! Is there room for anything extra? If so, what can you do to invest in you? (Hint: This could be investing in developing your spiritual gifts or your knowledge.) If no extra, where can you cut back 5%. Just 5% of your income can start to build and save for the goals you have. What is one small thing that you know if you had the money you would have to do in order to live the lifestyle you want? 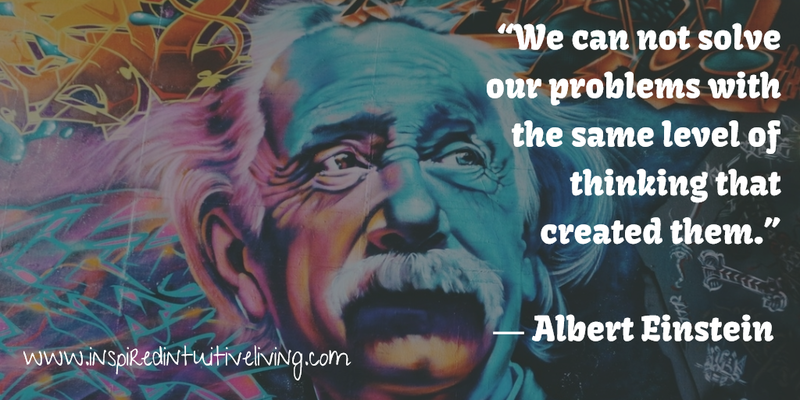 What can you buy, create, or do that is just one step to get the momentum moving? What is the next step and set of small things you can do to keep moving toward the end goal? As always, I would love to hear your thoughts! Leave me a comment below about what small step you can start taking action on TODAY!